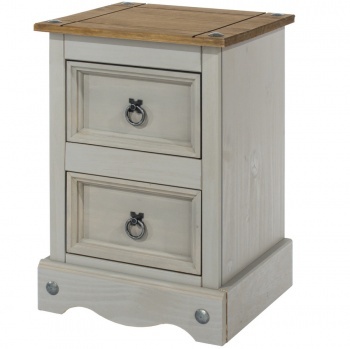 This three drawer bedside table greats plenty of bedside storage space. 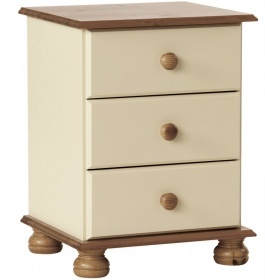 Good sized top has ample room for a lamp, photo frame and reading material. 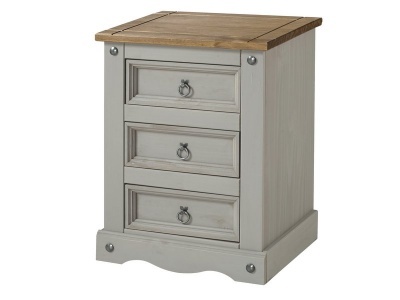 Stylish design with a fashionable grey painted cabinet, oak veneer top and contrasting metal cup handles.